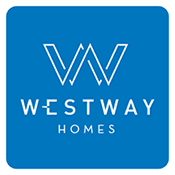 When you make the great choice to buy a Westway Homes new home, you will enjoy the comfort and confidence that comes with knowing your home is fully warranteed. This is worry-free living at it’s best! 2-10 Home Warranty offers the most comprehensive coverage for systems and appliances, and an industry-leading, insurance-backed structural warranty for new construction. We make it easy for homeowners to do business with us by handling all communication with our service contractors and covering the cost of parts and labor.